Any successful business owner will tell you that finding quality and loyal employees is very tough. In most respects this cutthroat world that we live in is to blame. No matter how good a company is, there is always a place that seems to be better. This is the old saying, where the grass is greener on the other side of the fence type thought process. However, it is now more than ever, for a company to hold onto the employees that are producing for them. This is a challenging task considering the fact that some other company is hiding around the corner waiting for you to slip up so they can steal the said employee. So the problem is how to keep the employees that you have loyal? Well, that is no easy task. No matter how much money you offer, there will always be someone offering more, so that is not the answer. The ten options below are meant to be used in conjunction with one another, not as a single quick fix type deal. • Offer a low-stress workplace environment. • Offer your employees fair compensation for the position, which means regular raises and evaluations. • Stay informed on developments in other companies that may be bidding for your employees. • Have an open door policy to make sure the employees know they can come to you with issues. • Offer dispute resolution that is fair and balanced no matter what. • Remember, employees are looking for the best place to work, and you should strive to achieve that goal. • Keep tabs on the goings on of the workplace to help dispel problems before they occur. • Offer benefits to the employees such as healthcare and vacation time. • Be available for new and exciting suggestions from the employees that may improve business. • Offer an incentives program for the loyal and hardworking employees. Keeping the good employees can be a very daunting task. Never should you take the time to put anyone before them because they are what is going to keep your business running. Of hundreds of employees polled, most said they would love to see a rewards program that goes past a simple boost in pay. This is very good knowledge to have. It seems that many employees of companies would like to have something more than money. This is an easy thing to achieve even though it may not seem so. There are companies around that offer solutions of this type to employers all over the country. Using their system, you can effortlessly create an employee loyalty program that will not only boost productivity but also keep the employees around for years. Of course, you will need to make sure that you have everything in place to make this all happen. The employees need to know the ins and outs of the program to make it work properly. 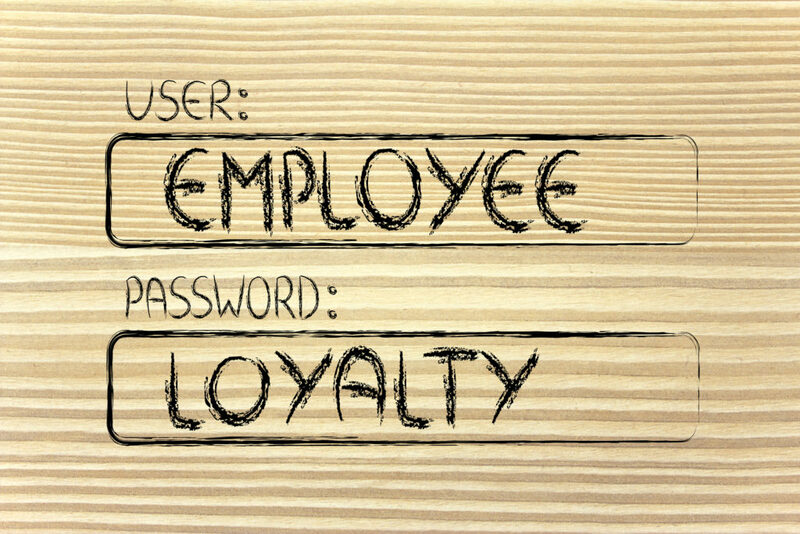 Take the time to put everything about the employee loyalty program into a memo and ensure that everyone gets it. Lay out the rules on paper so there is no confusion and to make everyone aware of how things will work.